Certified lumber products and processing, consistency in quality, and reliability are the hallmarks of the North Sawn Lumber client experience - a commitment to meeting your lumber needs on-time and on-budget. With fully certified products and preservation treatments, you and your customers can rely on the trouble-free quality lumber we provide. We're backed by state-of the-art plant technology and have a sustainable, ongoing source of New Zealand radiata pine. 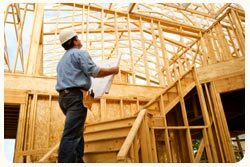 Whether you are looking to import fully treated (or even primed) lumber via our adjacent deep-water port, or to incorporate our CodeRight or TRUSTWood timber products into your construction designs and projects, and even to custom treatment solutions for your lumber needs, North Sawn Lumber can help. With our dedicated and helpful team of client liaison staff, we work hard to build long-term relationships with clients to meet their lumber product and processing needs not just today, but year after year. PINE LUMBER: From kiln dried rough sawn boards to fully processed pre primed timber lines, manufactured from renewable plantation grown Radiata Pine. 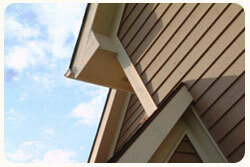 Interior lines, wall framing, weatherboard cladding, mouldings and outdoor treated products. PINE TREATMENT: State-of-the –art lumber treatment facilities, hazard classes include, H1.2 Boron, H3.1 LOSP clear/green, MCA H3.2, H4,H5 and CCA H3.2, H4, H5, H6. either wet treated or redried. PRODUCT QUALITY ASSURED: NSL engage independent third party auditors to ensure all products are fit of purpose. Ministry of Primary Industries Bio Security Program. PINE PROCESSING: Including machining, priming and finger-jointing. Operating a high speed optimising cross cut saw system which maximises timber recovery, we are able to offer cut to length components in a range of sizes and grades. EXPORT ASSISTANCE: Helping you to facilitate your export needs from our adjacent deep-water port. 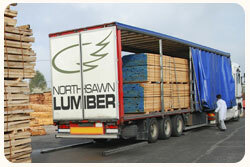 For help with finding the perfect solution to your lumber needs, read more about our services on this website, or contact North Sawn Lumber today via this page here or call us on 02 7574 3394.